Escape the rush of town life with your own 3945 square meters of hidden escape. Mature trees cover approx. 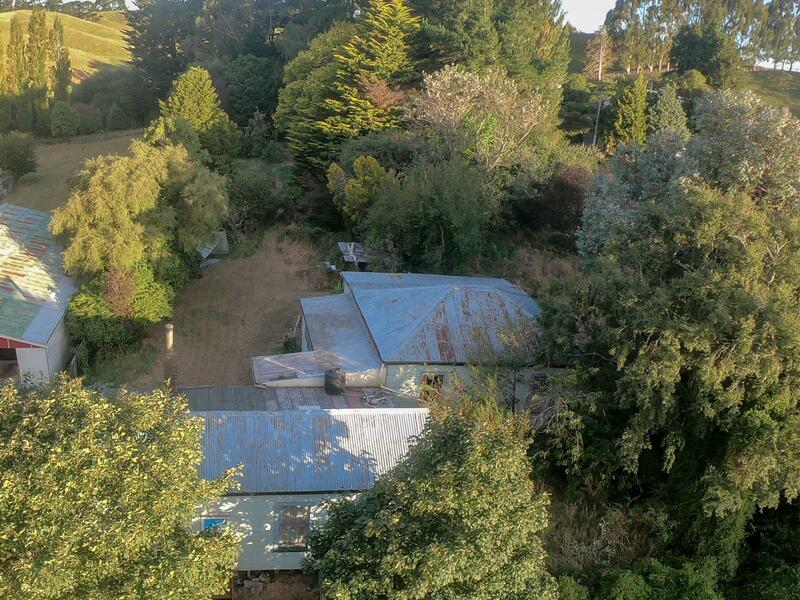 3/4 of this property you will never be short of firewood or maybe mill some of them for building purposes.The original 4 bedroom, 2 lounge home has seen better days but for those with building know how a real project awaits. There are endless possibilities here with options such as do up or demolish. You could clear the current building site and bring in a ready built home or build your dream home or maybe just an acre to park your camper van for some down time from travelling. Norsewood offers so much yet quiet enough away from towns and cities. There is a primary school, cafe, hotel, early childhood education, dairy and much more. Please note change of auction time.